The second day of the Göteborg 2006 Transport Research Arena opened today with a keynote session on developing the future of road transport. In a detailed and thought-provoking presentation, the FEHRL President - Mr Jorgen Christensen - examined the role of research in preparing for change in the road transort system. 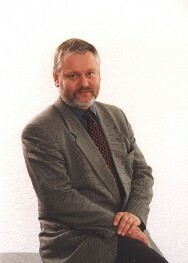 Developing concepts expanded in FEHRL’s Vision 2025, he described a series of scenarios of the future and the role that research must play. He concluded by examining how road infrastructure will need to be defined in the future. The first Transport Research Arena (TRA) was launched today in Göteborg by Ingemar Skogö, the Director-General of the Swedish Road Administration. European Commissioner Potocnik added his wholehearted welcome of the joint initiative of ERTRAC, CEDR and the Commission and promised greater support for Road Transport Research. 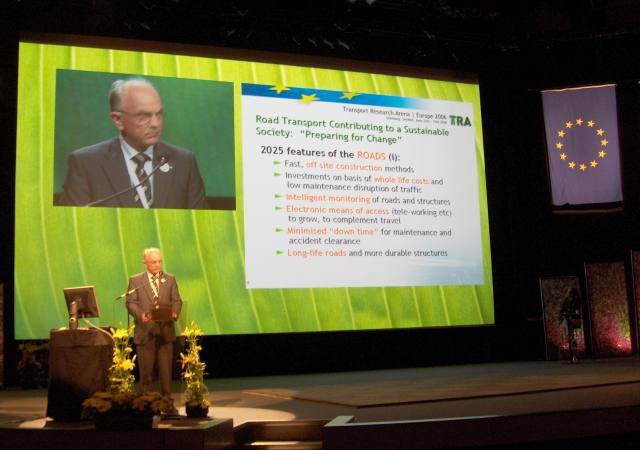 The Chairman of CEDR (Conference of European Directors of Roads), Jón Rögnvaldsson, and Chairman of ERTRAC, Rudi Kunze responded by demonstrating the continued aligment within the road transport research community. The first steering meeting of the SIMBA project was held in Brussels on June 6th. SIMBA is an initiative supported by the EC to promote research cooperation between the EU and targeted developing nations. During the first meeting, a number of opportunities were investigated for common research topics. From the FEHRL team, Akram Ahmedi (TRL) will be leading activities with India and South Africa. Dr Marianne Grauers (VTI) who recently attended a successful workshop in Shanghai will be responsible for developing activities with China.